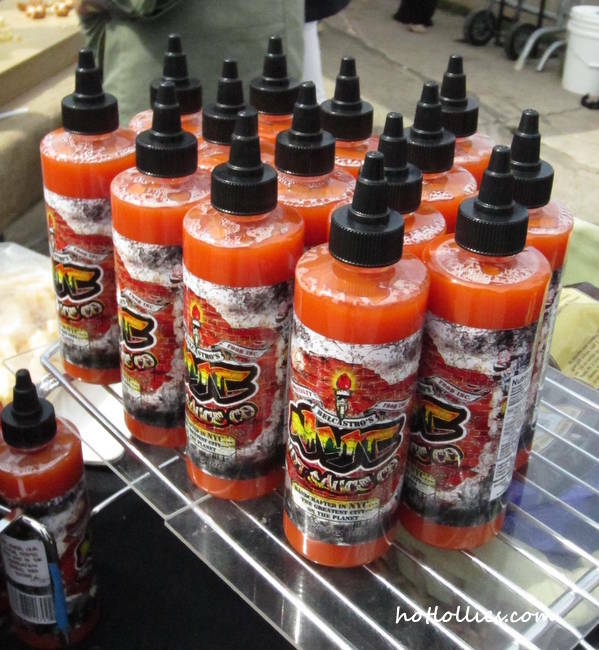 Get ready for the 2nd annual NYC Hot Sauce Expo this weekend brought to you by High River Sauces! This event will be packing some serious heat! If you love hot sauce and spicy foods this is one event you absolutely cannot miss! It’s not too late to get tickets so get them online to save a few bucks! Last year was a huge success with hot sauce producers from all over the country and plenty of food and drink to go around. Here are a few photos from last years’ outdoor event. Good thing event is indoors this year since it may be a rainy and chilly weekend. 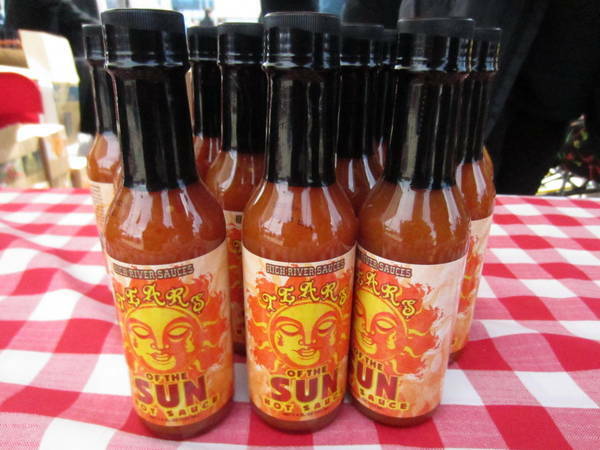 So head over to the Penn Plaza Pavilion next to Penn Station to sample some of the best hot sauces around. This will be an easy commute for those coming from outside of Manhattan. It’s also a great opportunity to try sauces you normally wouldn’t find in this area and to support a few small businesses…and if you’re feeling brave, enter one of the spicy foods contest! It’s going to be one hell of an event. See you all tomorrow! I’ll be sure to post a few photos for those of you who can’t attend. 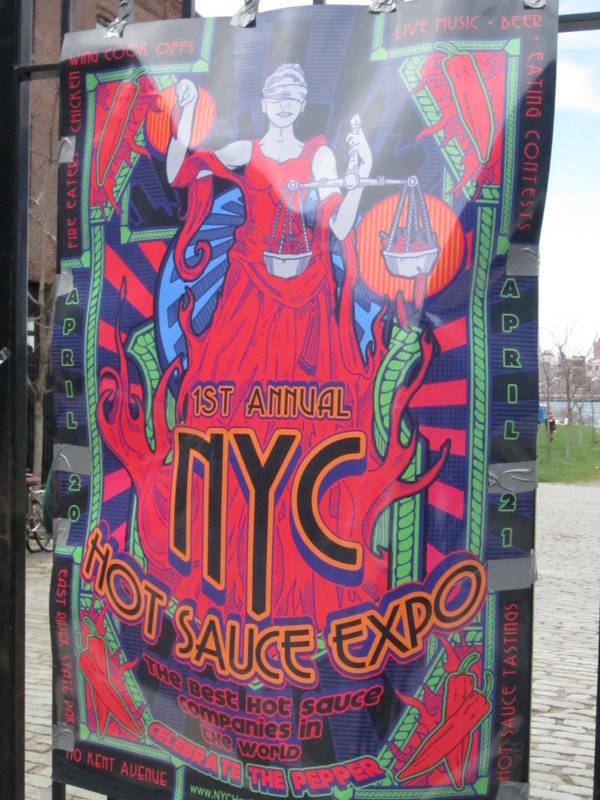 I attended the first annual NYC Hot Sauce Expo last weekend held in Brooklyn’s East River State Park. The event was a huge success giving hot sauce companies, small and large the opportunity to share their creations with us city folk! It was the perfect event for tasting and purchasing difficult to find hot sauces. I’m usually skeptical of buying sauces online if I haven’t had the opportunity to try them or come recommended from a trusted source so this was a nice treat. The general tasting was held outdoors but a little extra loot got you access to the indoor VIP events, great food, vendor awards and plenty of libations. This Cayrum rum hails from the Dominican Republic and made with honey and ginger for a nice spiced up flavor. I can definitely see this in my tea next time I’m sick, in mixed cocktails or just over ice! A great spicy premium tequila to try is Tanteo made with real jalapenos for very natural tasting, spicy spirit. Most others spicy liquor distillers choose artificial flavoring but this one delivers on both the taste and heat. I also caught a Michelada competition…you see where my priorities are! Unlimited drinks, live music, unlimited food and all the hot sauce you wanted could be had in VIP area. 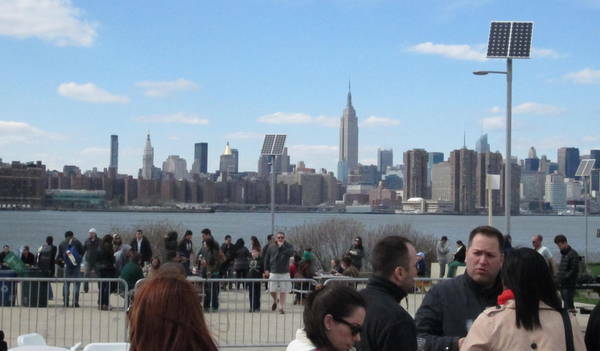 The general admission got you access to to the hot sauces in the outdoor booths with a great view of the city. Not bad for only $10! That Rogue High River Sauce made with scorpion moruga chile, one of the hottest in the world, hotter than the ghost pepper, was killer! I had to try it and amazingly you could taste the sweetness up front for about the first 10 seconds and then BAM! A one-two punch to the face! It’s probably best to leave those super hot sauces for last to save some of your taste buds. So best advice I can give is to pace yourself and walk around with a cold dairy product like ice cream or cheese to neutralize the heat, it really does help! 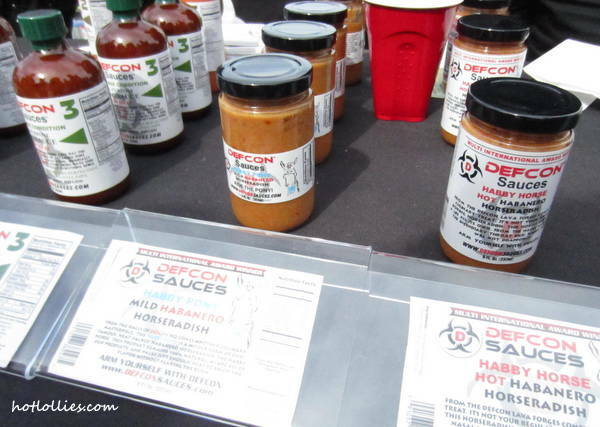 Ooh Defcon sauces, that Habby Horse hot habanero is AMAZING! Will be grilling with that one and also adding it to some deviled eggs. 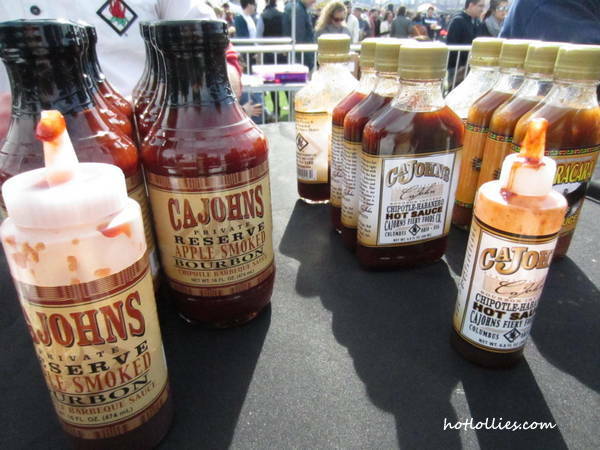 If you want a great flavored, well balanced, spicy, sweet, tangy HOT sauce, pick up one of my favorites, Cajohn’s bourbon infused chipotle habanero hot sauce. Here are a few more great sauces…High River Sauces Tear’s of the Sun, Delcastro NYC hot sauce, and Surge of Sandy, which was a collaboration with Cajohn’s to help benefit Born to Hula hot sauce company after hurricane Sandy’s devastating blow to their NJ location. Be sure to pick some up if you want to help them rebuild, hot sauces also make great gifts too so get a few. Needed to fuel up with an awesome beer bratwurst with a little Bajan mustard hot sauce. The day was gorgeous, a little windy and chilly for this time of year but plenty of warming elements here. I could have easily overdone it with all the sampling, surely a few more would have put me over the edge but one thing I could appreciate, as did many others, was the strategically placed ice cream vendors! This will be an annual event in NYC and definitely looking forward to next year!